And jeez what a year! It went from bad to much much worse. My depression was as bad as it’s ever been, and then there was a LOT of drama at home, and some criminal activity that I was subjected to. And by the middle of March I was homeless. I ended up living in a YMCA-style residential hostel for four months. But that brought something good – a keyworker who helped me get higher on the council’s rehoming list. And now I have my little flat. The biggest goal I set for this year, was to make it “less crap than last year”. And although it got crappier, it got much much better after that. I’ve struggled since I moved back to Basingstoke, but I finally have my own little place again, and I’m settled with my cats and feeling like a semi-normal person. I wanted to save. My sister was willing to play Bank of Sister, and with her help I saved a big hunk of money for UK Games Expo, and to sort my flat out when I moved in. This was a successful experiment, and will continue in 2016. I wanted to go to America. I always want to go to America. But moving kinda disrupted that. I did travel to Dublin in March, and hopefully at some point in 2016 I’ll finish the blog post about the trip. I wanted to finish 2 quilts of my blanket bonanza. I didn’t. I may have started some more actually. I have a problem with blankets. I set myself 3 Yearly Challenges. The first was to fill a jar with exactly 52 things… and I finished that! Blog post coming soon. The second Yearly Challenge was the Tip Junkie Monthly Photo Prompts. This failed miserably. I mentioned my plans here, and then never again. And there’s a good reason for that. I forgot about it. The third Yearly Challenge was one I decided on after I wrote my New Year post, but it was to do a post it doodle every single day. So yeah… it’s been quite a year. I rebooted my Etsy store into a Facebook store with a proper name. I’ve had some success with it, but mostly at the few craft fairs I’ve done and not online. I have big plans for it though, and hopefully 2016 will bring some changes in that respect. As mentioned, there has been a lot of family drama. Lots of people deciding they aren’t talking to other people. And I really hate seeing my little family torn apart, but there isn’t much I can do aside from waiting until things settle a bit more. 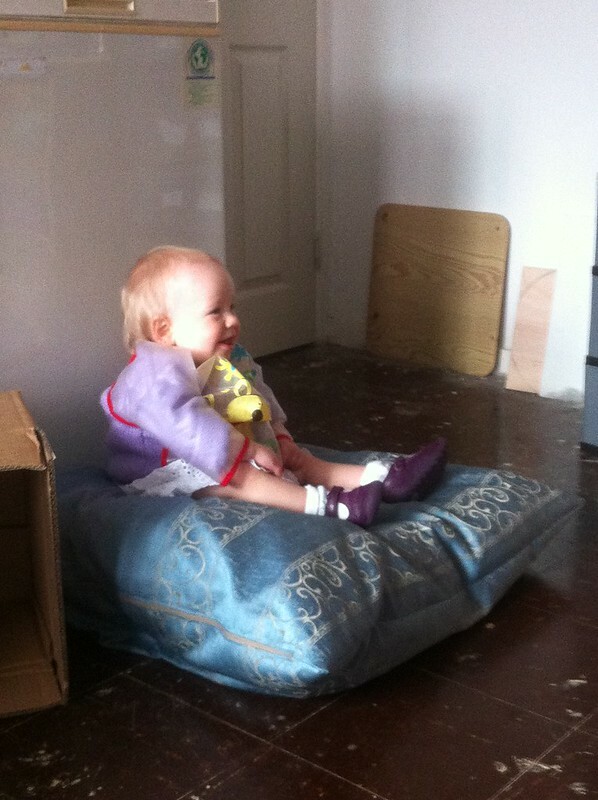 But the biggest highlight of my life – my beautiful niece Aislynn – has just grown and grown. She’s adorable and a proper little person now. Walking and talking (ish) and interacting and just being generally amazing. This entry was posted in Craft, Friends & Family, Health. Bookmark the permalink.